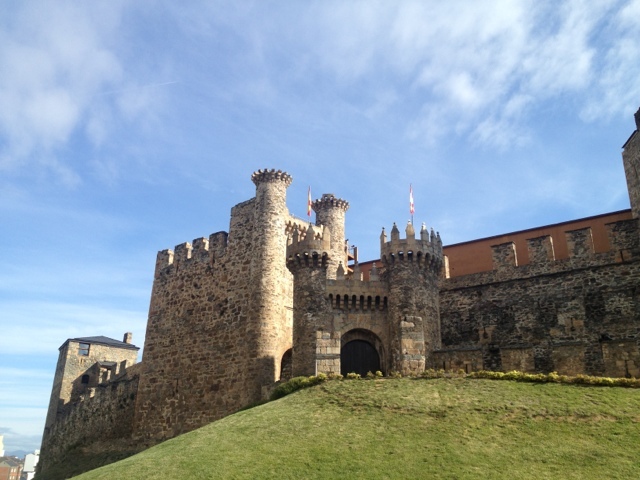 8k before breakfast at Ponferrada right in front of the towns main attraction the Knights Templar castle (see pictures). Was surprised to see the cafe/bakery was completely decked out in Kartel ghost chairs and lamps for what was basically pilgrim cafe ie they were all scratched. Not sure where the money for them came from as this was by no means an expensive breakfast. Remainder of the day was spent on roads passing through town/outer suburbs and market garden type areas. 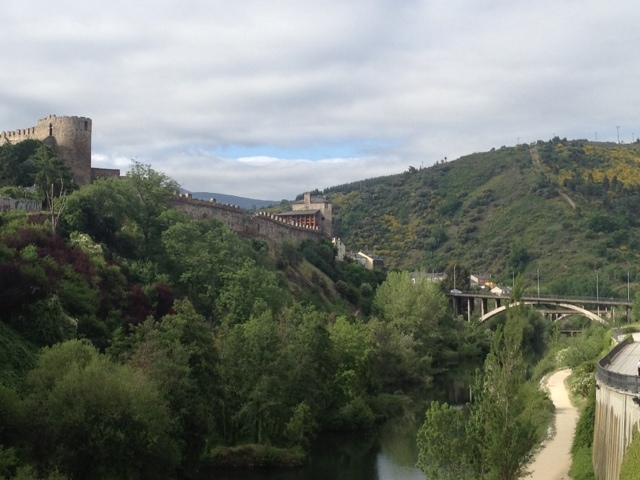 The day heated up around 11:00 so it was head down and plod to Cacabelos with one stop for coffee. Cacabelos is a nice medium sized town and being Sunday everyone is dressed up from church and hooking into a late lunch. Mmmm, I think I'll join them.